I’m a little late with this post but here are the goodies I received in my November Birch box. If you are not yet familiar with Birch Box, it’s a monthly beauty subscription service that is just $10 a month that you can cancel at anytime with no penalty. Based on a beauty profile that you fill out upon subscription, you will receive 4-5 deluxe beauty products a month. 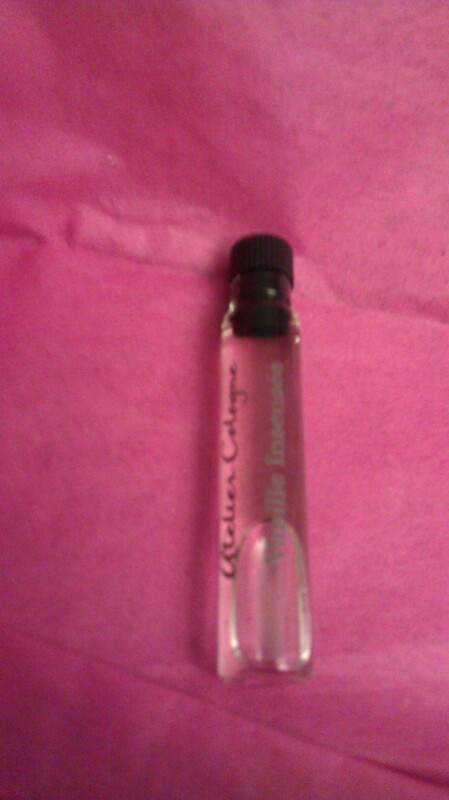 Atelier cologne- It’s a musky perfume with notes of vanilla and amber, a little goes a long way. Borghese Fango Active Mud- It’s an Italian mud mask that removes toxins from the skin while moisturizing and nourishing. I really like this mask and plan to use it once a week. LaRocca Skincare Champagne and Shimmer Supreme Creme-A rich creme that smells yummy and leaves and lovely shimmer on your skin. This is perfect to highlight your decollete at all of those holiday parties. It’s full of shea butter and olive oil. 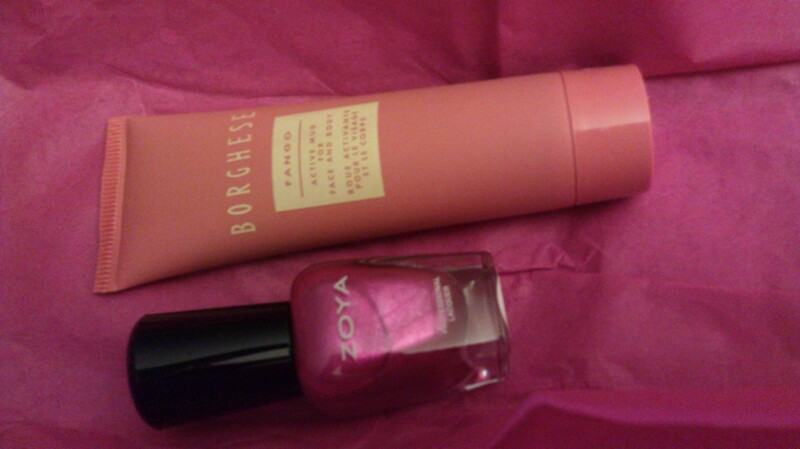 Zoya Nail Polish-This shade is perfectly festive and lasted a week before chipping. 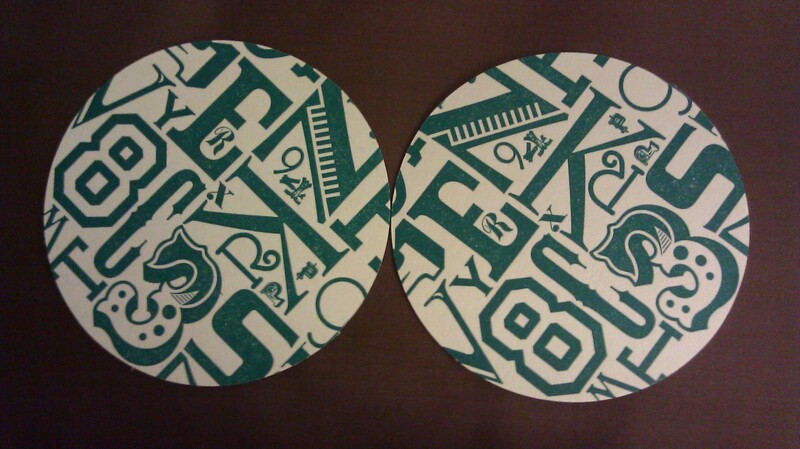 Treat Two Paper Dolls Coasters- I don’t really have a use for these but they are pretty cute. I guess you could use them as extra coasters if you have a holiday party or more guests than usual. 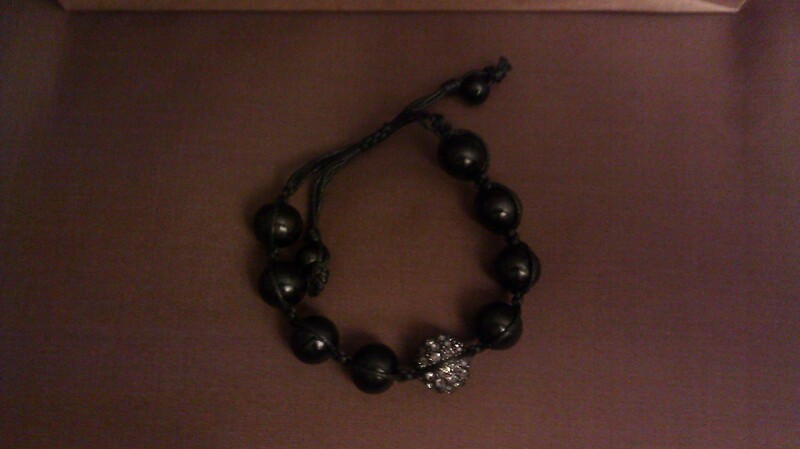 BaubleBar Bracelet-I haven’t worn this bracelet yet but it’s kinda cute. I can’t wait to see what goodies come my way for December!